Nancy Grace Roman, originally uploaded by brunosan. 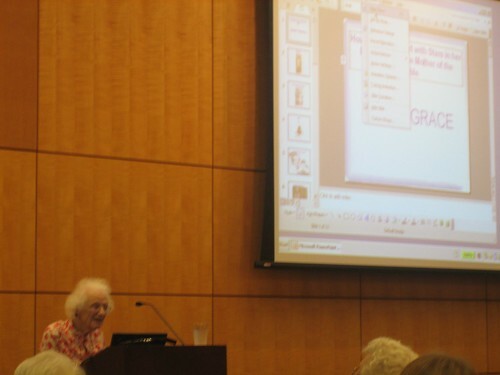 Last week I went to listen a talk by Nancy Grace Roman. She was one of the first woman doing (astronomical) research. She also worked at NRL, where I work now, and then to NASA, where she was part of many missions, including Hubble. It was just amazing. Listening to a person that could be your grandmother talking about things you just learnt (paralax, relativity, cosmic rays, ….) Alucinante.